Our coverage article was posted in ”Market trend of water mixed fuel related technology for transportation equipment – Emulsion feature article ” of monthly magazine “Yano E Plus March 2017 (No. 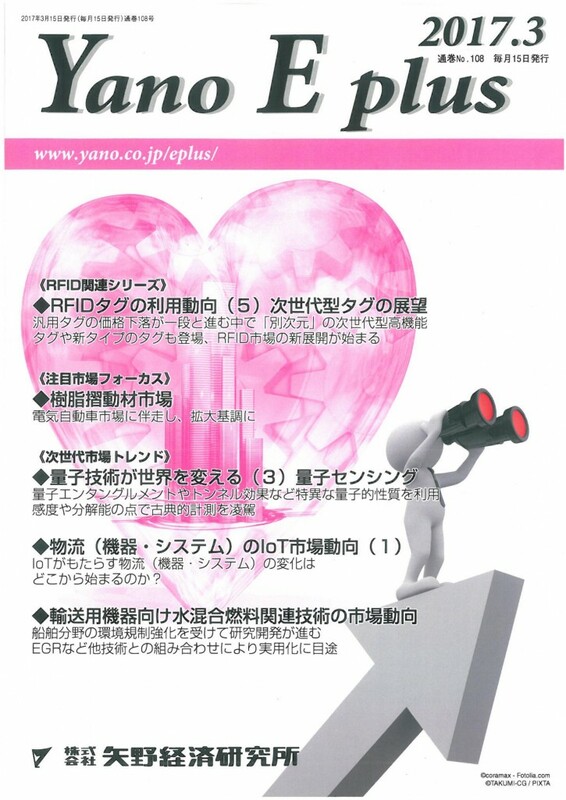 108)” published by Yano Research Institute Ltd. (published on March 15). Yano E Plus focuses on electronics, from upstream to downstream of industries, from materials & parts to components / modules, machines, manufacturing equipment and applications, reporting the latest market trends of growing products, as well as business trends of featured companies in a multifaceted and timely manner.